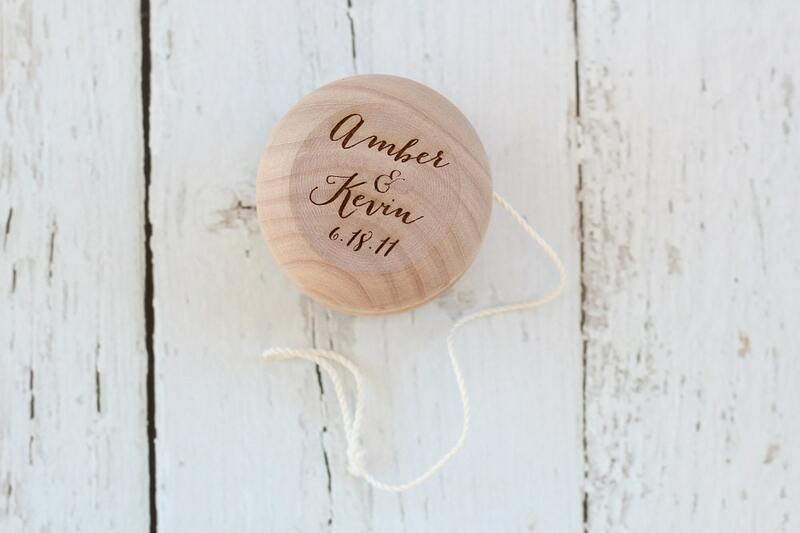 Custom engraved wood Yo-Yo. 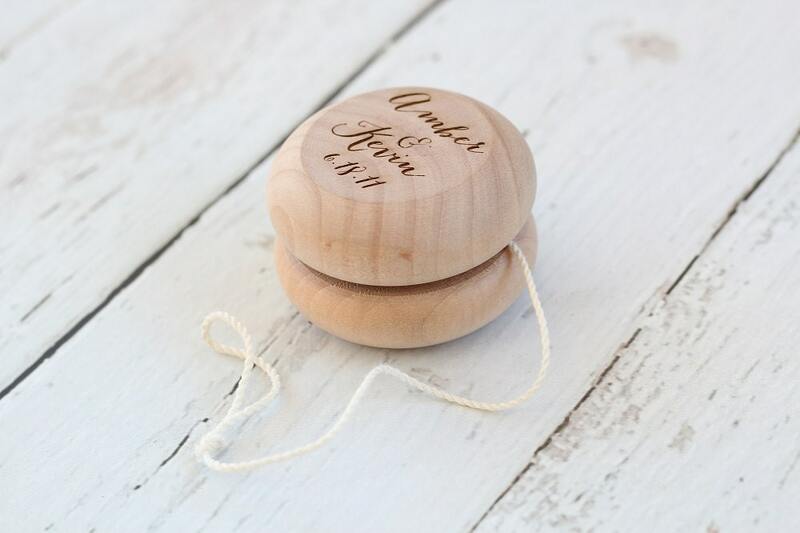 Perfect addition to your rustic wedding game table, birthday favors and more.! 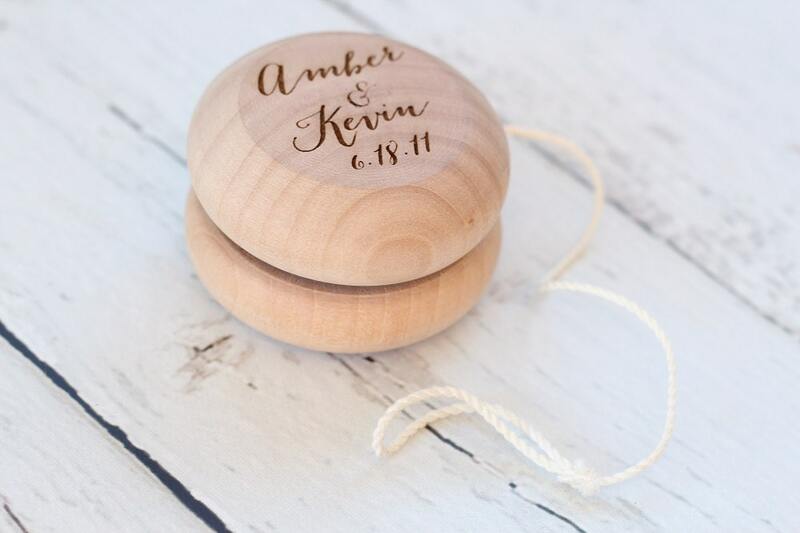 We can customize the Yo-Yo with a logo or saying, convo us with details. 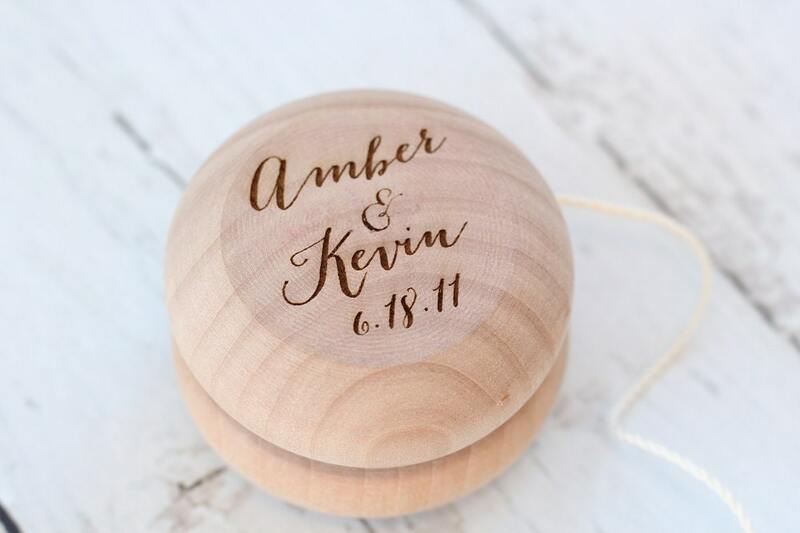 Please indicate the names and date to be engraved on the Yo-Yo upon checkout (i.e) Amber & Kevin 6.18.11. 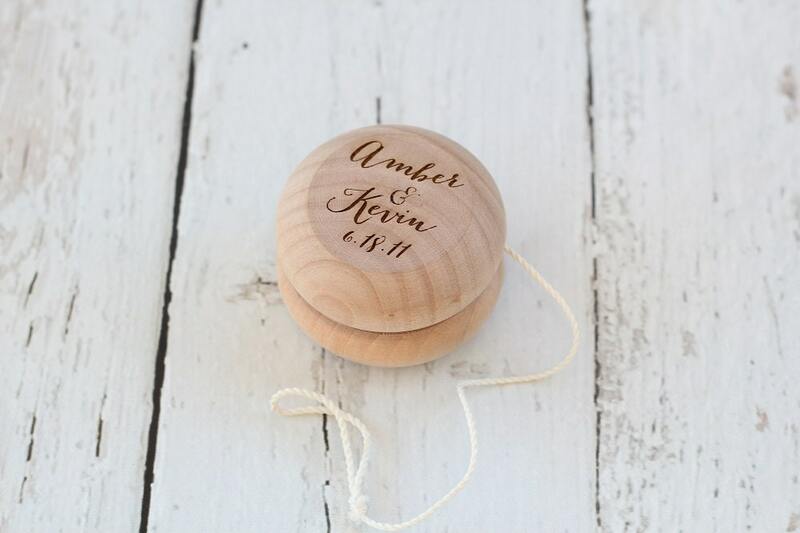 Engraving is on both sides of the Yo-Yo. So cute! Absolutely loved it.